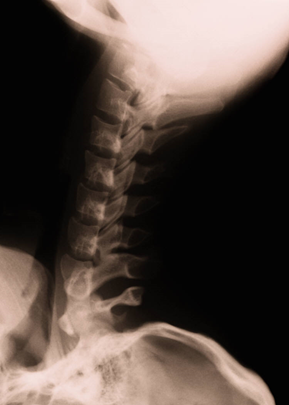 A while back I had an “episode” with my neck –a recurring problem with a herniated disc that every so often gets ornery and swells up, spilling out of its vertebra and putting the squeeze on nearby nerve endings. I always feel the pain far from the site of the problem – in this case, in my right arm. It felt like somebody was jabbing an ice pick in my forearm. There are several things that can set this pesky disc off: driving for long distances, lifting heavy objects, and sitting at the computer. The last one, fellow writers will note, is a problem. Nicole, my strapping young physical therapist, and I worked hard to get the disc back in line. “But you gotta find the source of the irritation,” she said. “Or you’ll be back here in no time.” I was highly motivated to find the solution. Pain aside, nobody can afford P.T. fees indefinitely. Nicole sat me down at a computer and said, “Type something.” I did. This was not really news to me. I’ve tried various chairs to try to force myself into a military-salute stance while I sit at the computer. Pretty darned hard to maintain. I’ve tried to limit my time at the computer, being a miser with internet-cruising and writing first drafts on notepads. And so I did, and so I do, because when I stand, my neck aligns perfectly and my herniated disc sleeps meekly inside its vertebra. It’s been an adjustment, writing in a standing position – mostly for my legs. After about a half hour they start to whine. So I write in 30 minute increments, then take a short break. Repeat. Here’s the most amazing thing: during this episode I never once considered that maybe I should give up writing. Not even a shadow of that idea. This is not my usual pattern. I gave up softball when my legs starting cramping after a run to third base. I gave up cross-country skiing, because the equipment and I didn't get along. So, fellow writers, after eight-plus years of dabbling in the literary arts, I can now say that I, Lynn G. Carlson, am a writer. I guess for me, it’s less about publishing and more about the knowledge that I'll do whatever it takes to keep going. Have you had to make adjustments in your life to keep writing? Fascinating! I guess that means that I'm a rower, because I will do anything except give that up. By the way, there are many who advocate standing at ones desk in any case because standing is much better for overall health than sitting. So it's a win-win! I have, although I need to make more. Getting up early when the husband isn't awake is a good one. The quiet time is nice for journaling. Sometimes I'll take a lunch hour for writing. Lots of adjustments, including the need to get up and move every 30 minutes or so to avoid muscle pain and stiffness. Like you, I'll give up a lot of activities, but I won't give up writing.